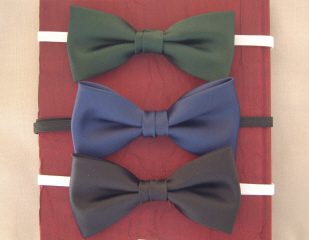 Bow ties with elasticated neckbands. These bow ties are approximately 4" in width which is ideal for the younger child. Available in three colours.